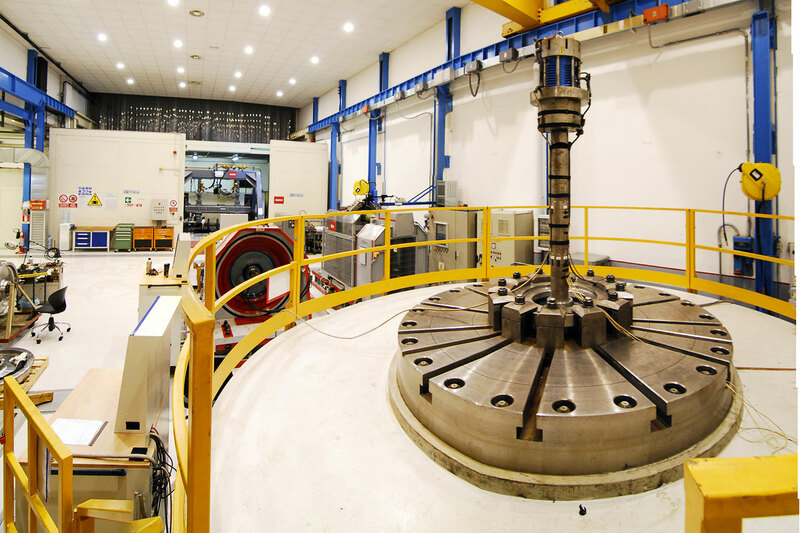 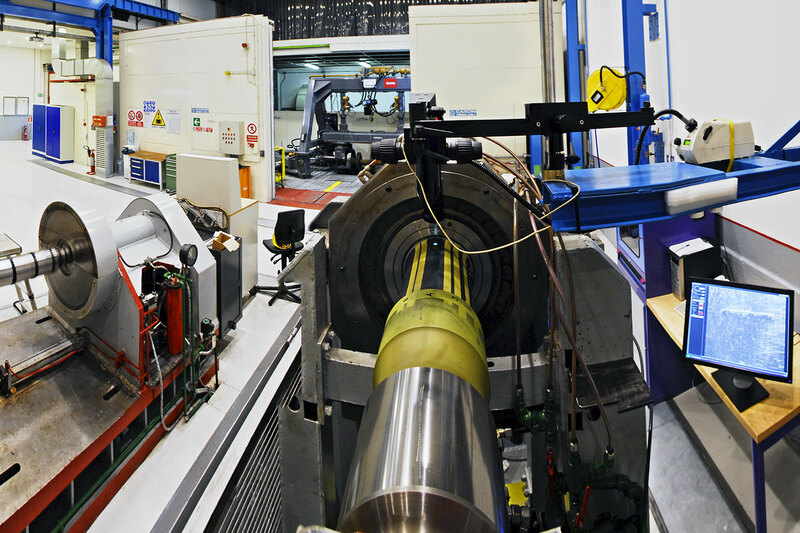 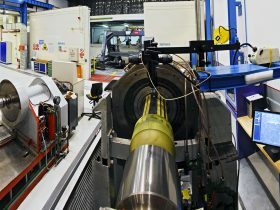 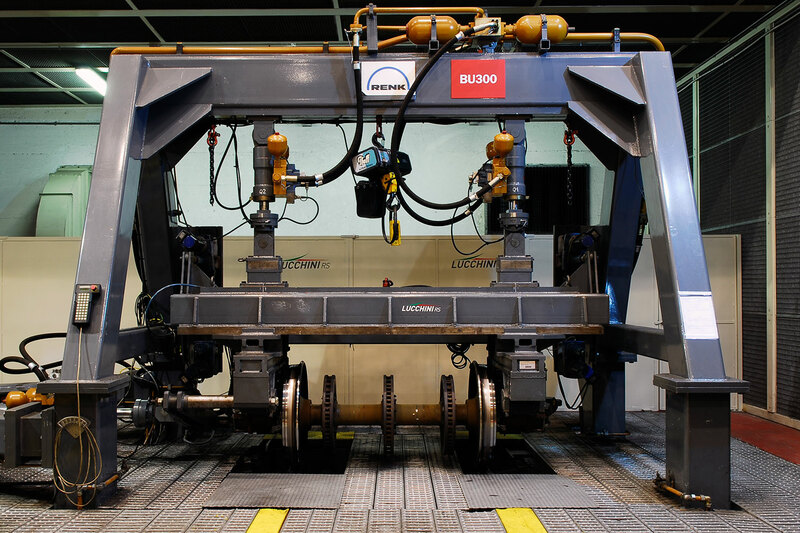 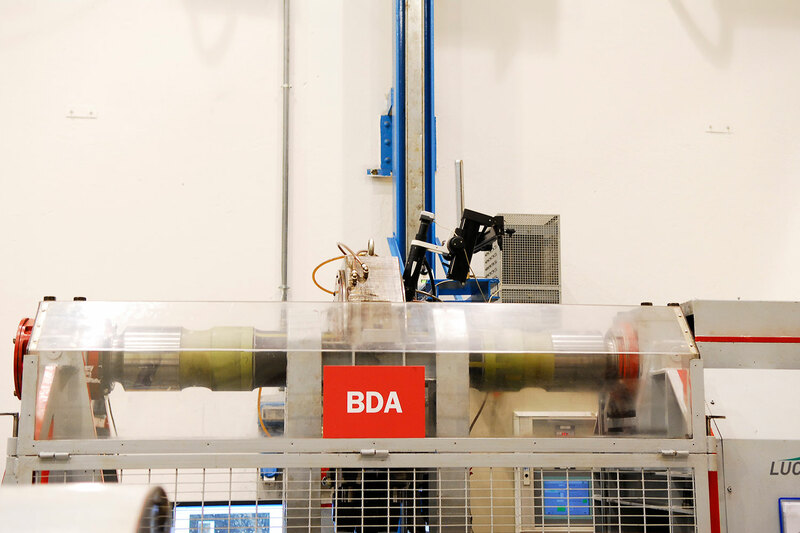 The BDA test rig is a rotating bending machine for full scale axles. 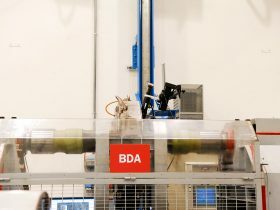 Due to the fact that the load can be easily controlled to perform variable loading tests, the test rig is particularly suitable for crack propagation tests. 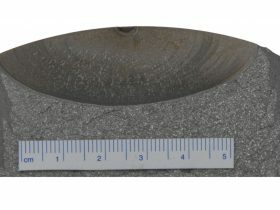 Real cracks are generated in a critical section of the axle by artificial defects obtained through electric discharging technique. 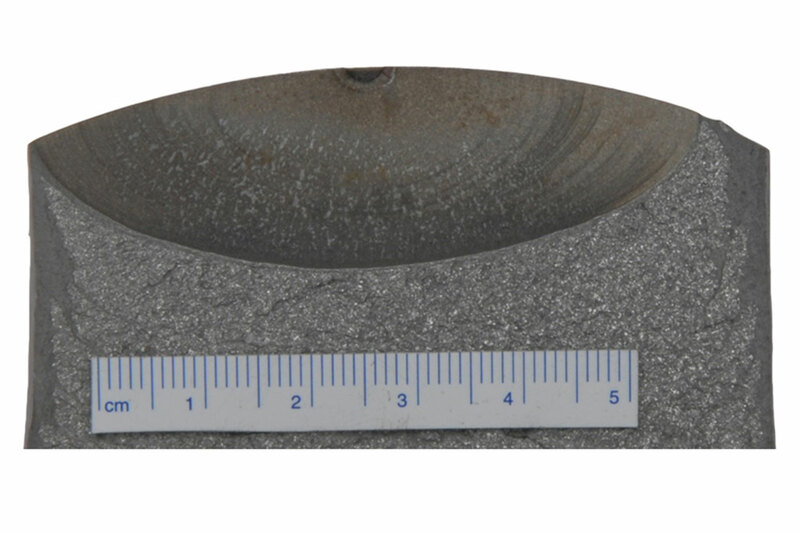 Starting a small crack size is created and it could be detected by a ultrasound probe, used in service at periodical inspection, a variable loading test is performed in order to reproduce a service load spectra representative of a relatively long period (1 M km). 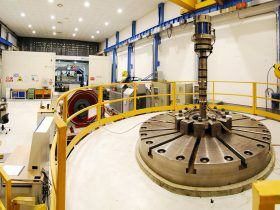 Special techniques are applied in order to accelerate the test duration . 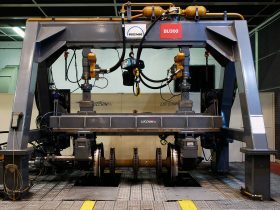 Finally results of these tests are used to validate crack propagation models (Starcrack®) and define optimal in-service NDT inspection intervals.